The Kitchen and Living Room in Turtle Haven are some of the most complimented rooms from the owners and many guests that visit every week. Custom Wood Cabinets with Granite Countertops give plenty of storage and counter space. 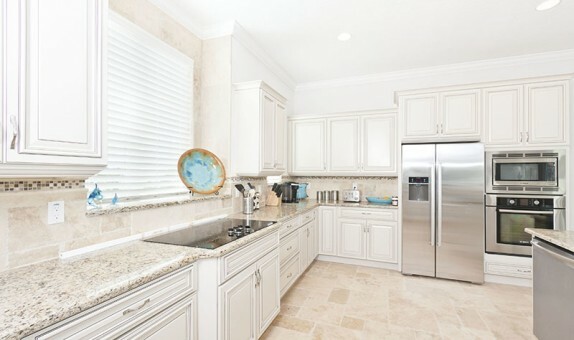 The Travertine floors throughout the home give a warm beach feel that is easy to clean and maintain. Become a Turtle Haven Facebook Friend! Become a Cinnamon Beach Club Resort Facebook Friend! Customer: Sean Z. and Brian B.